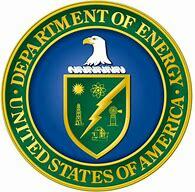 The Office of Energy Efficiency and Renewable Energy (EERE) Building Technologies Office (BTO) has issued a Request for Information (DE-FOA-0002070) to solicit feedback from industry, academia, research laboratories, government agencies, building owners and operators, builders, utilities, and other stakeholders on key issues related to building technologies that have significant and demonstrated potential to be utilized as cost-effective solutions to respond to grid conditions through demand-side management (DSM). This information will be used by BTO for strategic planning of the broader grid-interactive efficient building technologies R&D portfolio. This RFI is not a Funding Opportunity Announcement; therefore, EERE is not accepting applications at this time. Click here to read the full Request for Information.